Workforce safety must be at the top of the list when it comes to a business owner’s responsibilities. Not only does the business have a moral responsibility to ensure that its employees are safe, but the Occupational Safety And Health Administration has a wide range of federal regulations that cover policies and procedures. Let’s have a look at what you are required to consider when undertaking maintenance and servicing of machines in your business, as an example. Note that above everything else you have to ensure that employees are not at risk of injury or death if a machine that’s about to be worked on has not been properly contained. These are known as lockout and tagout procedures and OSHA publishes rules that have to be followed. You have to be able to control any pressurized liquids or gases, ensure that mechanical energy is contained and electrical energy is switched off. No machinery or equipment that has any moving parts can be active. Such machinery has to be disengaged, locked out or prevented from moving whenever any type of servicing or cleaning is taking place. Furthermore, regulations dictate that the employer must have a written procedure in place to document how energy is going to be controlled, how employees are going to be trained and how often inspections are going to take place to ensure that everything is up to code. Regular examinations should check to see that systems and machines are free of any hazards. A warning system must be established so that all employees are aware that maintenance, cleaning, shutdown or lockout is about to take place. Organizations cannot afford to be implicit here. They also need to ensure that their business insurance is completely up to date. Insurers will need to know that the organization is in compliance when it comes to OSHA requirements. 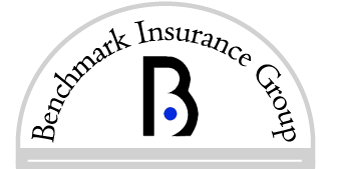 For these types of business insurance your organization should get in touch with us at Benchmark Insurance as soon as possible and make sure that any and all risks are covered. Workers compensation insurance can be a challenging area in its own right for manufacturing organizations, so it goes without saying that all policies and procedures should be followed to the letter. What area of business insurance do you find the most challenging?